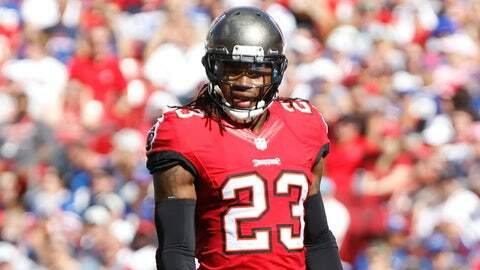 Safety Mark Barron will not play in Sunday's finale because of a hamstring injury. NEW ORLEANS (AP) — The New Orleans Saints have scratched reserve defensive lineman Tom Johnson and reserve safety Isa Abdul-Quddus for Sunday’s regular-season finale against Tampa Bay. The Buccaneers have deactivated safety Mark Barron, as well as linebackers Dekoda Watson and Ka’Lial Glaud, all listed as questionable on Friday. Barron had a hamstring injury, while Watson had a groin strain and Glaud a knee injury. Other than reserve linebacker Keyunta Dawson, who had a sore calf, all players deactivated by New Orleans are healthy. Others scratched included running back Travaris Cadet, receiver Nick Toon and recently signed cornerback Terrence Frederick. Buccaneers inactives included former Saints left guard Carl Nicks, who’d already been ruled out with a foot injury, along with fullback Ronnie Pryor and recently signed defensive lineman Scott Solomon.